Very safe place to live and management and office staff are courteous.submitted by Shikina H. - Apr 26, 2018 |Recommended: YesVery clean and safe environment. response from property - Thank you Shikina for giving Southern Oaks Apartments in Stone Mountain, GA a 5 Star Review all across the board. We appreciate you taking time out of day to leave this review and for giving us a Thumbs Up that you would recommend our community to a friend. Current Place of Livingsubmitted by Stephanie D. - Mar 19, 2018 |Recommended: YesI like living out here never any problems with anyone I honestly don't even know my neighbors its too quite which I love I might see someone walk pass every now and than when I leave to go out but it's peaceful. response from property - Thank you Stephanie for taking time out of your day to write this 5 STAR Review. We're so happy that you find our community peaceful. response from property - Ms. Harvey - Thank you for taking time to write this review. Your feedback is very important to us. It is our goal to deliver unprecedented customer service to each and every resident. So, we would like to invite you to schedule a time to come to the office to discuss your concerns with us. response from property - Thank you Shawn for taking time to share your experience at Southern Oaks and giving us a Thumbs Up that you would recommend our community to a friend. Quiet submitted by Y. I. 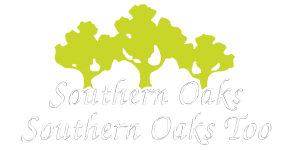 - Sep 13, 2017 |Recommended: YesThe staff at Southern Oaks are very polite friendly and very helpful. The grounds are well kept, everyone pretty much stay to them self but they are friendly not stuck up or rude. It's not a huge community just how I like it. They always show their appreciation to the residents. response from property - We are so happy that you like living in our quiet and quaint community. We appreciate you taking time out of your busy day to give us a Thumbs Up that you would recommend Southern Oaks Apartments to a friend. response from property - Thank you for your 5 STAR review and Thumbs Up recommendation. You are quite welcome for the summer food program. Frankly, we LOVE doing it and appreciate your kind words. response from property - Thank you so much for taking time to leave us this 5 Star review on our Second Chance program and giving Southern Oaks a Thumbs Up! response from property - Thank you for taking time to leave us such kind words and the awesome 5 STAR Review that includes a special "shout out" to one of team members :-) We are so pleased to hear that you love living here at Southern Oaks Apartments as much as we love having you as a resident! Please let us know if there is ever anything you need! Staff should stay after 5 to see and hear submitted by Jennifer L. - Feb 10, 2017 |Recommended: NoI should not hear my neighbors music at 10 pm. I should not hear neighbors fighting to the point Police are dispatched. I should not have to park away from my door because neighbors friends are visiting. response from property - We appreciate you taking time to send us your feedback -- it's important to us. We would love to talk with you in the office to discuss your concerns with you. Please call us at 770-465-9744 so we can set aside a time just for you. Again, thank you for taking time to write this review and note to us. response from property - First let me thank you for taking time to share your review and and giving us a Thumbs Up that you would recommend our community to a friend. As I'm sure that you've noticed, we recently completed a total upgrade to our pool and installed new playground equipment. We are taking steps to address additional upgrades in the future. Again, we value your feedback and appreciate you taking the time to share it with us. If you have any further feedback you would like to discuss, please call the office to set a time to discuss them with us. Disappointedsubmitted by Barbara B. - Dec 30, 2016 |Recommended: NoToday I would tell them that I have roaches everywhere. I cleaned out 8 roaches in my kitchen drawer. Which is totally disgusting. I would tell them we have no word on when we will get pest control. I constantly have to deal with neighbors running above me and smoke coming in my apartment and I am not even a smoker. I love to cook but have lost my desire in a roach filled kitchen. Really saddened by this. Everyday for weeks I wake up to a roach, even in the toilet. I had to go to the hospital due to the germs and bacteria from the roaches and air vent not being changed in months. response from property - We appreciate the time you took to provide your recent review of Southern Oaks Apartments. Your feedback is important to us! Our team has worked closely with you to resolve your issues. It is always our desire to deliver unprecedented customer service to each of our residents. Again, thank you for your feedback. Resident Appreaciationsubmitted by Garnett P. - Dec 30, 2016 |Recommended: YesI truly enjoyed myself at the wine down Wednesday resident appreciation. The hospitality by the staff was amazing and very sincere. The food, wine and music was awesome. The massage therapist did an amazing job I was very relaxed after I had my massage. It was nice to meet some of the new residents that I live with. The laughter was nice as well. The management does an awesome job to let the residents know how much we are appreciated.